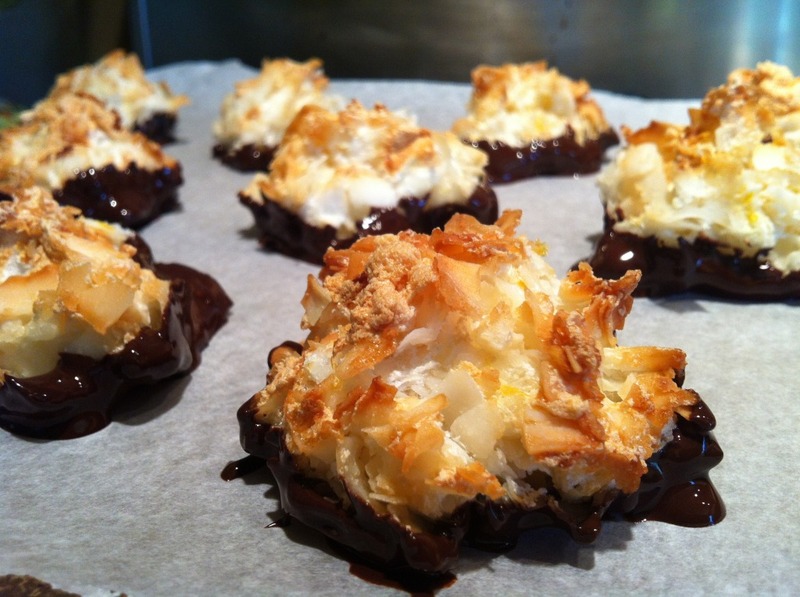 These little bite size coconut macaroons hit just the right spot when you want something sweet without a load of calories. And they are so simple to make, and up to 3 days in advance before serving. A simple, flexible macaroon recipe that will please everyone. I dip the bottom in dark chocolate because I love the flavor combination of coconut and chocolate, but that is completely optional, the lighter version is certainly without. These refrigerate and freeze well. Enjoy! 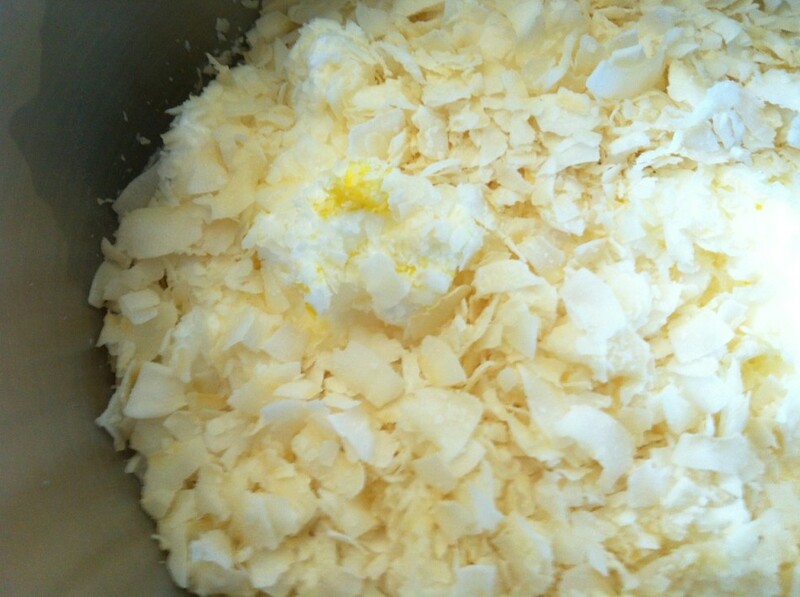 In a stand mixer with the whisk attachment on high speed, mix egg whites for about 3 minutes until very frothy, slowly add the sugar along the edges of the mixer during the whisking process. 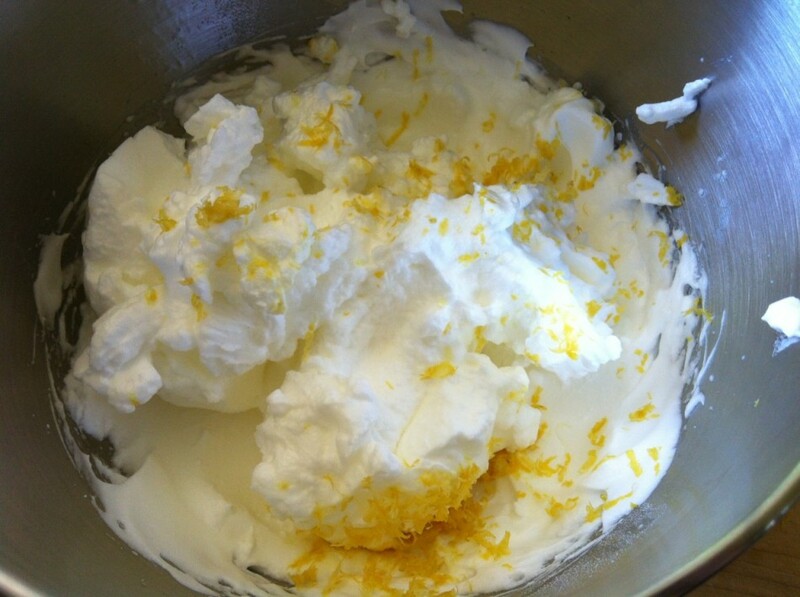 After all the sugar has been added, continue to whisk for another 2 minutes (egg whites will look like marshmallow fluff), add the lemon zest. With a wooden spoon or a rubber spatula gently fold in the lemon zest until just combined. Add shredded coconut, gently fold in. Note: I do not add the lemon zest with the coconut. I did so the first time and found the lemon zest was clumping together so now I do this individually. Prepare 2 parchment lined baking sheets. Note: I always line my baking sheets for two reasons: 1. to prevent any aluminum absorption, and 2. to prevent the metal from imparting metallic flavors onto my food. Using a spoon (an ice cream scooper will deflate the meringue), pick up about a tablespoon of the meringue and pack it lightly (kind of like a meatball) just so it holds a shape. Place macaroons about an inch apart. Bake until golden, 25-30 minutes. Let them cool for 10-15 minutes, or until cool to the touch before dipping. Set a saucepan over medium heat, filled halfway with water. Place a glass, or heatproof bowl on the saucepan. The bowl should rest directly on the saucepan, though it should not touch the water in the saucepan. When the water is simmering add the chocolate to the bowl, stirring occasionally, until melted. 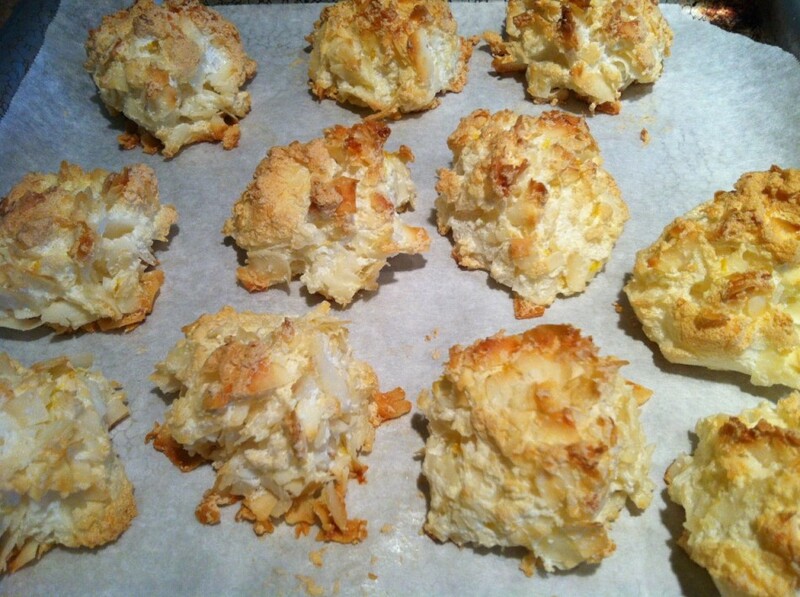 Dip the bottoms of the macaroons, then place on cooled lined (to prevent sticking) baking sheets (not a cooling rack). Refrigerate for about an hour before serving. Serve chilled. Will refrigerate well for up to 3 days in an airtight container. 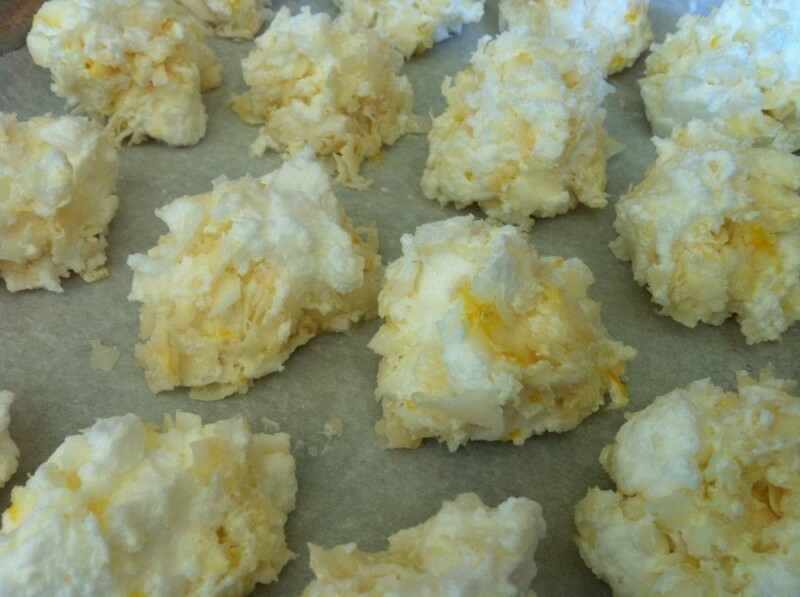 I want to bake these macaroons but don't have caster sugar. What can I use instead? You can use granulated sugar, just put it in the food processor to make grind it to a finer consistency. I am finishing the last of my macaroons and want more. These are worth making from scratch and better than any store bought GF brand. 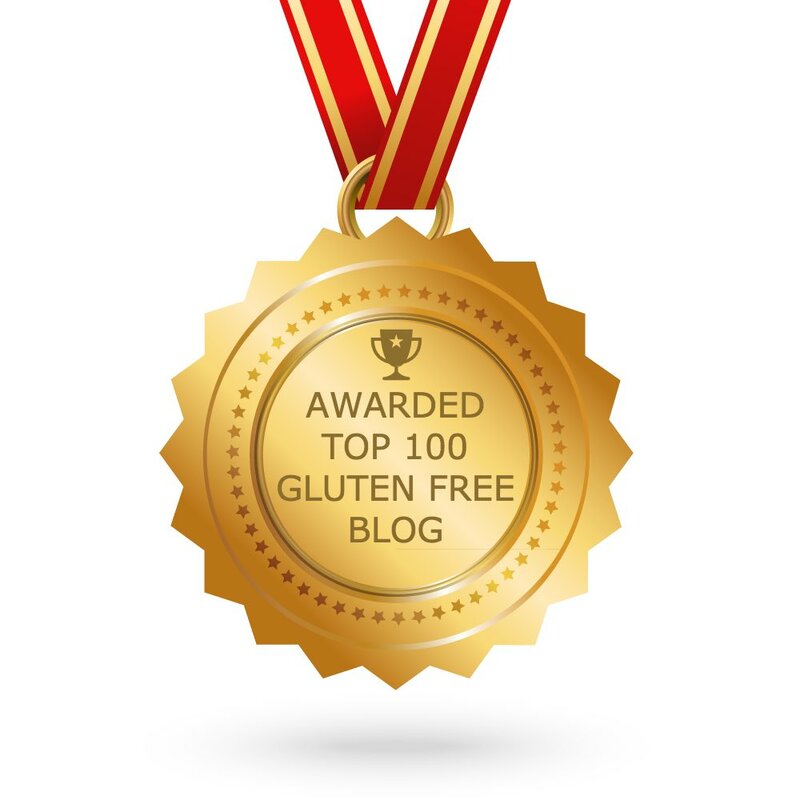 I am trying to keep grains out of my diet and found your recipe. I made this today looking to satisfy my sweet tooth and these delivered. They turned out into little snowball looking things that after dipping in chocolate were divine. I tasted one without, it was good but the chocolate makes them great. Thanks for indulging me with your recipe!